Sure-Foot’s selection of Grit-Coated Safety Tiles are perfect for when you need non-slip industrial flooring that allows you to rise above hazardous surfaces. As a leader in safety, we understand that one of the most common causes of accidents is trips and falls on floors. If this happens at your workplace, you could be held liable and the injured party could be out of work for many months. Prevent unnecessary accidents by using our anti-slip and anti-fatigue flooring. These Master Stop slip-resistant tiles are designed to be resistant to industrial chemicals, water exposure and more. 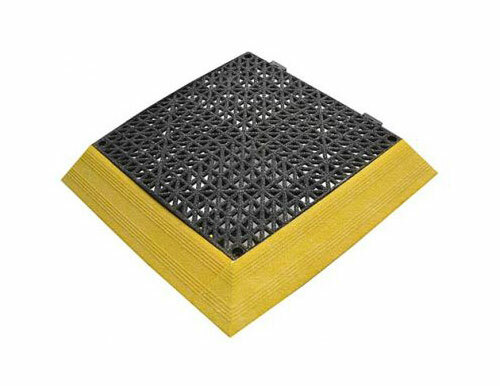 We also offer two kinds of ramps for the tiles, two-inch end and corner ramps and six-inch transition ramps. Contact us or request a product sample today and speak with a representative about ordering our grit-coated safety tiles for your workplace! 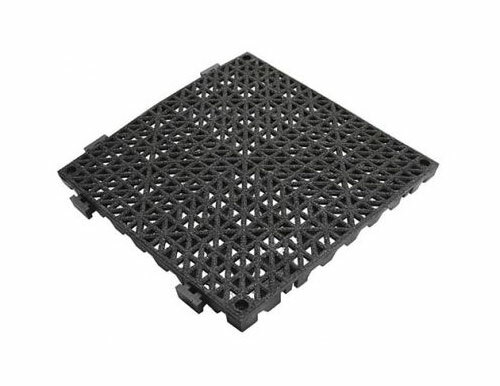 2″ end and corner ramps available; 6″ transition ramps available. All parts available in coated or uncoated finish. All parts available in black or yellow.